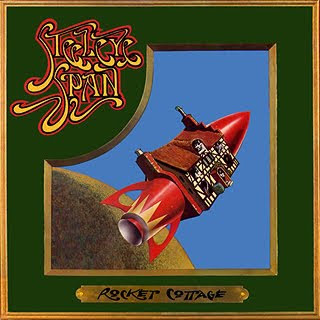 Along with its predecessor, this is possibly Steeleye Span’s finest example of commercial folk rock. 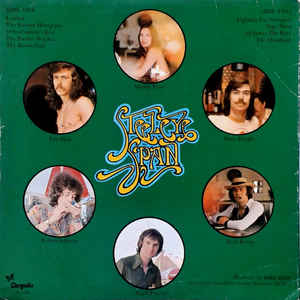 Once again produced by Mike Batt of Wombles “fame” (indeed, a little known fact is that several members of Steeleye Span were the musicians behind The Wombles, even donning Womble costumes to appear on “Top Of The Pops” as the furry litter picker-uppers), the album perfectly blended traditional British folk songs with a rousing electric guitar and pounding drum sound. Then, of course, as always, there was vocalist Maddy Prior’s excellent folk voice. The album is perhaps the band's most rock-influenced album, with very prominent guitars and a strong rhythm section. Some found it too overpowering, though. Certainly, the folk purists among the band’s following were not too happy with the album, seeing it as a commercial sell-out. As it was, it didn’t sell well, as punk was starting to be the order of the day by its release. The previous album had sold well, however, maybe this one just came out at the wrong time. Standout tracks, for me, however, are the afore-mentioned evocative narrative “Sir James The Rose”, and the adaptation of the hymn “To Be A Pilgrim” - the haunting “Fighting For Strangers”. “London” is a fine, vocally harmonious opener and “Orfeo” sees the band even getting a little funky at times with a bit of wah-wah guitar. “The Twelve Witches” is a nod to a more folky, vocal-dominated past and “The Brown Girl” is an understated classic, actually. It even has a semi-funky, soulful bit in the middle. The wah-wah comes out again for the upbeat, vibrant Irish-influenced instrumental, “Sligo Maid” and funky guitar blends with traditional Irish fiddle. Top drumming from Nigel Pegrum on this one too. The final track, “The Drunkard” sees the band begin it with an impromptu version of “Camptown Races” which singer Maddy Prior admits was done at a time of high drunkenness. Eventually, she pulls a superb vocal performance out of her hat, somehow. Put the best tracks from this and the previous album together and you would have a great album.One sensed that band were at something of a crossroads at this point. Indeed, unhappy with having to go along with this overly commercial approach, though, members Peter Knight and Bob Johnson left the band. I have to say I feel they were overreacting a bit. It is still a decidedly folky album in parts. Knight would return several years later, however.